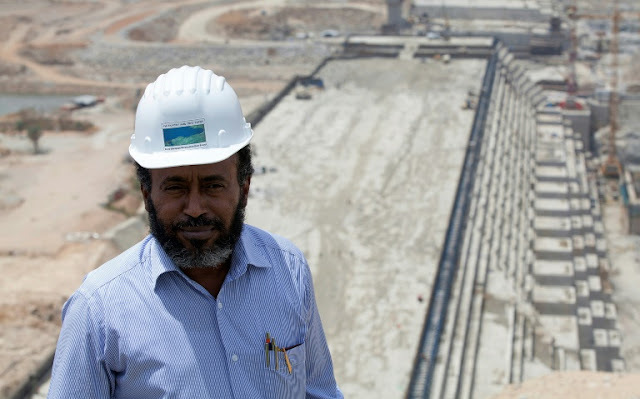 The project manager of Ethiopia's Grand Ethiopian Renaissance Dam was found dead in the capital Addis Ababa on Thursday, state media reported. Simegnew Bekele was the public face of the dam being built near the country's western border with Sudan that, when completed, will be Africa's largest. The state-affiliated Fana Broadcasting Corporate said Simegnew "has been found dead in his car at Meskel Square," in the centre of Addis Ababa. "The cause of his death is unknown," Fana added. The dam has faced opposition from Egypt, which fears the $4-billion (3.2-billion-euro) project on the Blue Nile which is expected to produce 6,000 megawatts -- the equivalent of six nuclear reactors -- will affect the river's downstream flows. In May, Sudan, Egypt and Ethiopia agreed to set up a scientific committee to study the dam's impact. The renaissance dam is one of several "mega-projects" Ethiopia is pursuing that include railways and industrial parks aimed at transforming its economy and pulling the country out of poverty. Construction started in 2011, and two of its 16 turbines are scheduled to start producing power in 2018, the Ethiopian authorities said earlier this year. Cairo is primarily concerned at the speed at which the dam's reservoir would be filled. The Blue and the White Nile converge in Sudan's capital Khartoum and from there run north through Egypt to the Mediterranean. Simegnew's death is the second of a high-profile company official in recent months. In May, gunmen ambushed and killed Deep Kamra, the country manager for Nigeria's Dangote Cement, alongside two others in the Oromia region outside Addis Ababa.